"...cause you're free, to do what you want to do. You've got to live your life, do what you want to do..."
These are lyrics from the 90's dance floor filler "Free" by Ultra Nate. Before you start to panic, I have not become a music blogger. It's just that the words seemed so apt, considering the topic of today's post. I came across a quote today by Tara Mohr, which says "your calling will never demand that it be the way you pay your mortgage. It is simply begging you for some amount of expression in your life". When I read it, all I could think was "word". I had one of those 'aha' moments when the lights come on and you think "now that's what I'm talking about!" For those of you who read the blog regularly (I thank you), you'll know that I revisit themes on a regular basis. That's not because I've run out of ideas about what to write about (okay, sometimes it is). Mostly, it's because I want to bring things to your attention in as many different ways as possible, so that everyone can have at least one 'aha' moment. This week's revisit is that wonderful theme of 'calling' or 'purpose'. To me, the freedom in Ms Mohr's quote comes from understanding that whilst our calling may not be our regular 9-5 gig, as long as it's expressed in our lives somehow, then it still helps us to live out our purpose. If you want to make it your 9-5 gig, then go ahead, but you don't have to. I re-trained as a life coach 3 years ago and I have to say that earning a living from it, is turning out to be a lot slower and harder than I thought. However, because I know what my calling is, I can still live it out everyday, whether I am formally coaching clients or not. My calling is to help women heal from abuse and coaching is just one of the ways by which I do that. I can also do it through writing, training, running workshops or by simply sharing useful information. When we truly understand what our calling is, then we can begin to recognise all of the opportunities that come our way, that allow us to live out our calling. 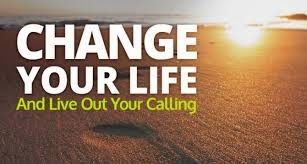 So I ask: what's your calling? How are you expressing it? What's stopping you from expressing it? 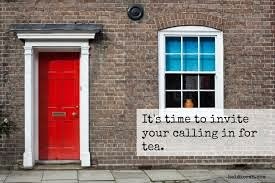 what one thing can you do today, to express your calling? Friends, when all is said and done, it doesn't matter when you discover your calling. It doesn't matter if you are young or old. It doesn't even matter how big or small your calling is. All that really matters, is that you pay attention to it and give it some space. Personally, I have no intention of retiring from helping women heal from abuse. I may retire from coaching or training or running workshops, but I won't give up my calling. Why should I? As far as I know, there's no age limit on living out one's calling, so I'm going to keep going. This week I challenge you to go do life as boldly and fearlessly as you can. Speak up, start a petition, change a life. Whatever you do, do it, knowing that you are being changed for the better. My 4 year old is in the grip of an obsession, so consuming that we have all been sucked into it. "What could a 4 year old be obsessed with?" I hear you ask. Well, she has discovered the Disney film, "Frozen". She went to a Frozen theme party in July, I thought she might like the film, so I got her to watch it. She absolutely adores it. The first time she watched it, we watched it three times in one weekend. Since then, we have had multiple, repeat viewings, one re-enactment of the entire film, spontaneous bursting into songs from the film and accompanying ballet moves! I think it's official- she's hooked! As I sat with her, to watch it for the umpteenth time, it struck me that like so many children's films at the moment, there are some things that we could all stand to be reminded of as adults. 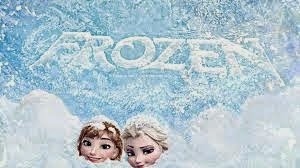 So this week, I'd like to share three life lessons that being all 'Frozened' out has reminded me of. Firstly, as we go on this journey called life, we will frequently come across people, who will try to tell us what's best for us. 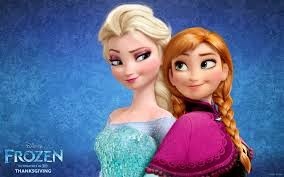 In the film, the 2 sisters, Anna and Elsa are kept separate, after Elsa accidentally freezes her sister. The healing process involves removing Anna's memory of her sister's magical powers. The people who try to tell us what's best for us are usually well intentioned and don't mean to cause us harm. However, what they think is best for us, might not actually be best for us. In order to truly learn, we need to discover what's best for us, by ourselves. Of course, if we are heading down the path of any kind of addiction or are involved in an abusive relationship, you can see why people would be anxious to tell us to take another path. But here's the thing, whether it be an addiction or an abusive relationship, we generally don't make any lasting or significant change, until we come to a personal realisation that what we are doing is harmful to us. Even that isn't enough to get us to change. Most of us only change at the point when the pain of remaining in the situation is worse than the pain of changing. You would have to have been living under a rock, to have missed the huge uproar over the actions of NFL player Ray Rice. He knocked out his then fiancee and dragged her unconscious body out of a lift. Reading the coverage and the attendant comments on the situation is actually quite depressing. Depressing because it seems like we haven't really made any headway in how we view and respond to domestic abuse. Victim blaming is a thread that runs through the majority of the comments. Whether it's on the basis that she slapped him first or that she's just a money hungry woman, who's prepared to put up with anything, just to stay with a rich football player. I don't know why Janay chose to go ahead and marry Ray Rice after the assault, but it seems clear to me, that she is not yet at the point of change. All the vilification, comments and well meaning advice in the world can't help her to reach that point. Only she knows where that point is and when she has reached it. The second thing I was reminded of, as I watched the film, is that desperate people usually make bad decisions. In the film, a lonely and affection starved Anna, agrees to marry a man she has only just met. Before we judge her, let's think about how many times, we have felt pressured by circumstances into making decisions, which in hindsight were really not very good for us at all. Women who put up with cheating and disrespectful behaviour from the men they are with, because they feel they are getting older and a bad man is better than no man? Women who make themselves smaller and smaller, in order not to appear too threatening, because "men don't like women who are too opinionated"? Women who are starving themselves into oblivion, because they have believed the lie that thinnest is best, no matter how hard it is to achieve and maintain? I could go on, but I think you get the idea. The truth is, we make our best decisions when we are whole, healthy, strong and not under pressure from ourselves or anyone else. Finally and the best lesson I think of the whole film is 'be yourself'. 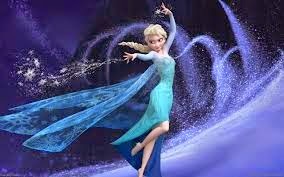 When Elsa runs away, having shown her powers, she finally becomes the person she should be. She acknowledges her powers and uses them to create the world she wants. Does she misuse them after that? Yes, but it was all part of the journey, to understanding that when we are fearful, we are not at our best. We are at our strongest and most powerful when we know and trust that we are enough. When we realise that we are not required to be anyone other than ourselves. When we realise that different is not good or bad, it's just different and that it is in our differences that we shine and allow others to shine too. Personally, I'm still on my journey and some times are easier than others, some lessons easier to learn than others. But I've discovered that the secret is to just keep going. We will make mistakes, we will fall, we will go the wrong way, but as long as we commit to learning the lessons along the way, nothing is wasted. These are the lessons I've been reminded of. If you've seen the film, I'd love to hear what you think and your comments. Join the conversation on the blog or twitter (@b2bbeautiful). If the twists and turns of your journey have left you feeling a bit confused or stuck, then coaching might be just the thing for you. Contact us through the website or give me a call on +234 706 335 0864, for your free 30 minute coaching consultation. Why sending yourself to bed might be the best thing for you! Can you believe that I haven't posted anything since the 18 July? Neither can I! It's the longest break I've taken from the blog and at the time, I secretly wondered if I would ever come back to it. Here's the thing, by the time I wrote the last blog in July, I felt tapped out creatively. It had become a struggle to find things to write about, that were true to who I am. When I started writing, I made a vow, that I would never post, just for the sake of posting something. This blog is about owning and speaking my truth and sharing it, in the hope that it will help someone else. Whilst I was on my summer break, I realised that the issue was that I was tired and frustrated about a number of things. And it was blocking my creativity. What I also finally grasped is that it's okay to admit when you are tired or frustrated or tapped out. I'm the Queen of plan A, B, C and D and so to accept that I had no alternative plan was very humbling indeed. It was also very frightening, because it felt like failure. It felt like giving up and that's not something that sits well with me. But what I discovered was that the world will not come crashing down, just because you need to take a moment. Actually, when I allowed myself to take my moment, a great thing happened. I started to miss the blog. I opened myself up to be inspired again. I started looking forward to writing again and connecting with people, through my writing. It's important to admit when we're tired or frustrated because when we don't, we run the risk of indulging in any number of hurtful behaviours. I wonder how many 'over shopping'; 'overeating'; 'overspending' or 'over-scheduled' women out there are quite simply exhausted. I wonder how their lives would be different, if they said no to some stuff and took a moment to simply 'be' instead of constantly 'doing'. A few years back, I came to Lagos after a long absence for a family wedding. I had forgotten how hot Lagos is and how frustrating it can be. Couple that with the stress of a wedding and you can see the potential for disaster. On one particularly fraught day, I flipped out and literally sent myself to bed. Looking back, I can laugh at the idea of a 30 something woman sending herself to bed, but at the time it was a choice between bed or going nuclear on someone! Finally, after my hiatus, I'm giving myself permission to take a break from multi-tasking all the time. 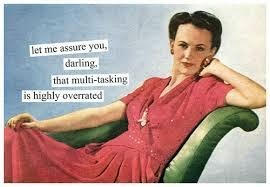 Some of us wear our multi-tasking credentials like a badge of honour. We are proud of the fact that we can have 3 different conversations, change a baby's nappy and bring world peace, all at once, whilst wearing 6 inch heels and looking hawt! (Well someone's got to do it). Sometimes, we might just have to do that, but on other occasions, might we be more effective, if we just did one thing at a time? (Just a thought, no need to shoot me yet). So, this week, I'm taking a breath and exhaling big time. I'm also asking, am I the only one out there who needed this reality check? Or is there a company of sisters out there, waving frantically for help? Whether you're a harried mum of small human beings, a career woman or a combination of both, I say 'I see you', I applaud you and say, it's okay to admit that you're tired and that you need a break'. You are more than what you do, so do whatever it takes to carve some time for yourself- without a truckload of guilt!